You have finished the book. Before putting it back on the shelf, play some games to reinforce your student's knowledge and have genuine fun. 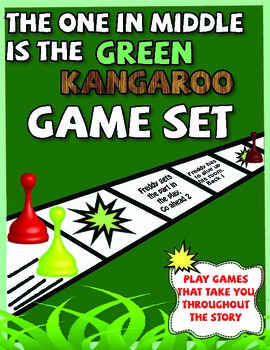 •	The first part of the set includes two board games that may be played with many variations. One board is almost 3 feet long. Also included are three different card sets. Each card set you use will change the game. One is blank for students own creations. 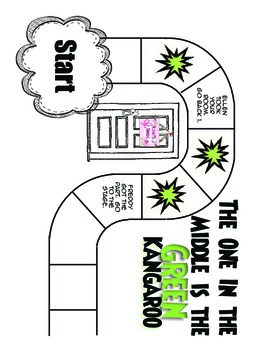 The game set also has two spinner choices which will not only change the pace of the game, but will cause certain spaces to be landed on more often. 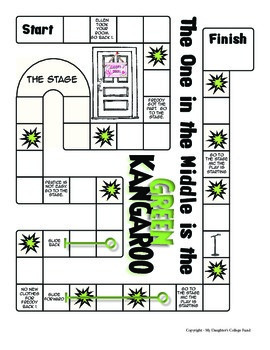 •	The second game is called "Room Take Back." Help Freddy regain his old room. This game is a fast action back and fourth challenge. The first person to get all of Ellen's things out of Freddy's old room wins the game. •	The third game is BINGO. 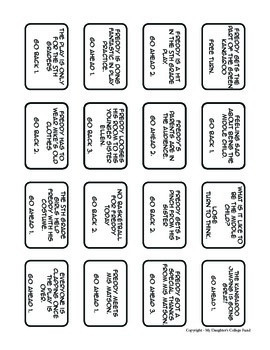 This version uses characters and vocabulary from the story.